The Jammu state Government’s order to instate Uttam Chand as SSP of Jammu has been strongly condemned by various Sikh organisations. In a press conference held at PWD Guest House Jammu, National President Shiromani Akali Dal (Amritsar) Simranjeet Singh Mann stated that SSP Uttam Chand is a co-accused in the murder of Shaheed Bhai Jasjeet Singh which took place on 4 June 2015 at Gadi Garh Jammu and the attempted murder of Gurdev Singh, Havneet Singh, Ranbir Singh and Inderjeet Singh who were critically injured and are still under treatment. 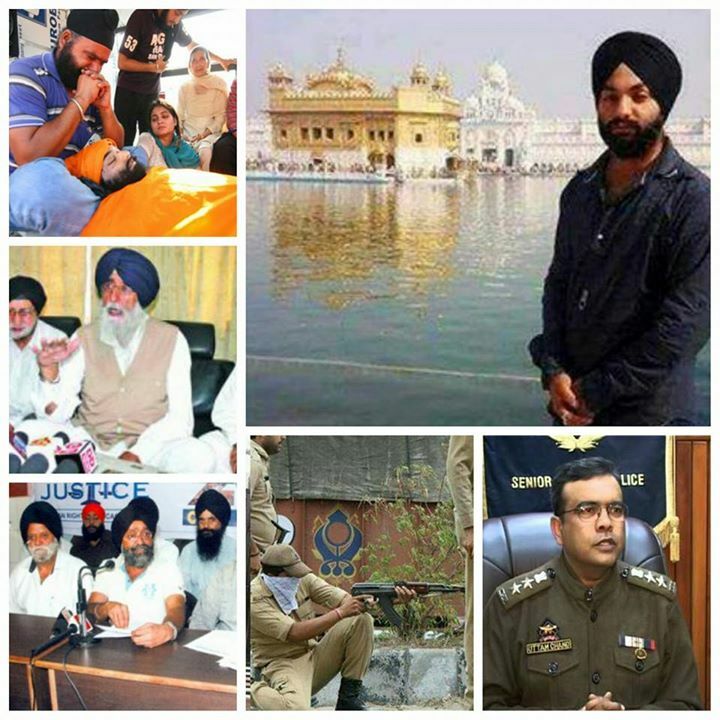 Mann demanded the immediate withdrawal of the orders which add to the injuries of the Sikh community. He stressed upon the unity among Sikh community for redressal of their grievances. Prominent among those present in the press conference include J.S Mangal, Harbans Singh Kashmiri, Bhai Gurdev Singh Khindwal and Bhai Ram Singh. Meanwhile in another press conference held by elected members of District Gurdwara Parbandak Committee Jammu, Avtar Singh Khalsa and others also criticised bringing back of Uttam Chand as SSP Jammu and playing with the sentiments of Sikh Community. Must Watch – Police Street Parchar interrupted due to Kirpan!